Having better interpersonal skills can provide you with many benefits. You can increase your circle of friends, become closer with the friends you have, meet new people more easily, and have more enjoyable relationships. Being in tune with others, both emotionally and interpersonally (through good social skills), can enhance your relationships and your life experiences. Read on to find out more about enhancing emotional intelligence in your social life. Emotional intelligence helps you become more satisfied not only in your intimate relationships, but with your social relationships, as well. Sometimes, you can more easily practice emotional intelligence skills with your friends than with your significant other. Friendships don’t tend to be as intense as more intimate relationships. 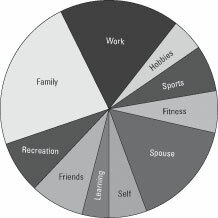 Create a values chart, which details how much importance you place on your friends and social life. The emotional skills that you develop can help you enhance many of your interpersonal relationships. For example, friends look for empathy in their relationships. Know what topics to talk about. Draw people into the conversation. Enjoy sports and hobbies together. Provide help and support in times of need (such as the loss of a loved one). Participate in religious practices and ceremonies. With some people, you want to have an emotional (intimate) relationship, but with others, you want to have a social (interpersonal) relationship. The closer you are with someone, the more emotional the attachment. With strangers, you’re likely to have an interpersonal interaction. You can be too aloof and not let people get close to you. This situation sometimes happens in couples in which the male is more traditional or macho. This aloofness or traditional behavior is often seen among men in certain professional groups, including engineers, math professors, surgeons, anesthetists, geologists, actuaries, and coal miners. It also occurs in certain cultures, especially where there are large disparities between the genders. You can find extreme examples of this emotional detachment or poor social skills in people who have Asperger’s syndrome. This disorder is partly defined by a person’s aloofness to other people — rarely making eye contact, lacking humor, rarely expressing emotions, and having almost robot-like interactions. You can get too emotional — letting it all hang out — with someone you’ve just met. You might disclose your entire life history to perfect strangers. Trying to get too close to someone you hardly know sends out mixed messages. For many people, it acts as a sort of danger sign — putting you on their people-to-avoid list. Knowing how much to disclose to whom is a skill. For many people, it comes naturally. Others have to figure it out by watching how other people behave. You can identify some of these cues by watching the media. Movies and TV shows present the good and the bad of initiating and maintaining relationships. Generally, the more likeable characters are the ones who can share the right amount with the right person. Theoretical: Knowing the rules and how they work. Being able to correctly predict how examples of human relationships will turn out. People with good theoretic knowledge of social relationships can look at samples of behaviors between two people and get a good idea on how that relationship is doing and whether it is likely to be a good or bad relationship. Practical: The ability to go out and successfully initiate, nurture, and maintain healthy relationships. The hands-on, day-to-day skill of communicating with and relating to people. Some people may be good at the theoretical part of understanding relationships, but not so good at the practical side. Others may be good at both. Although you probably didn’t get training in these skills in school, they can help you go a long way in the real world.